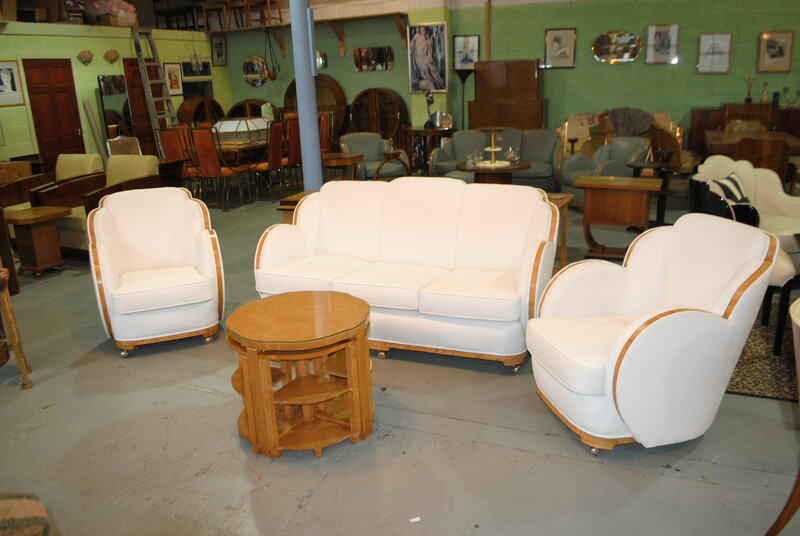 A stunning original art deco Epstein 3 piece Cloudback suite with very rare Birdseye Maple trim which continues across the top of the chairs and sofa. 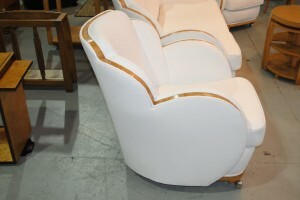 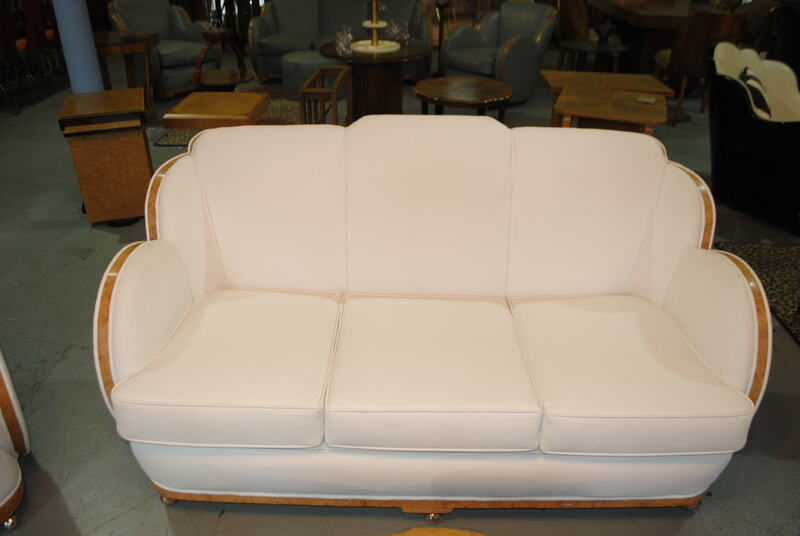 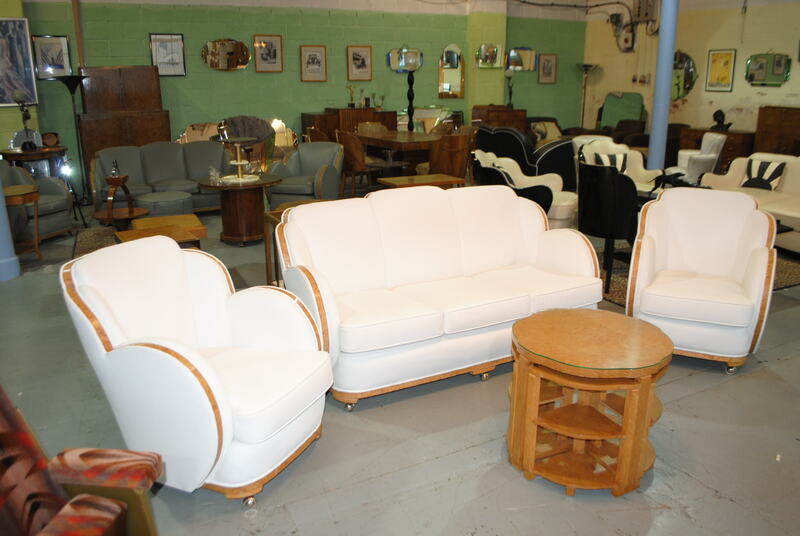 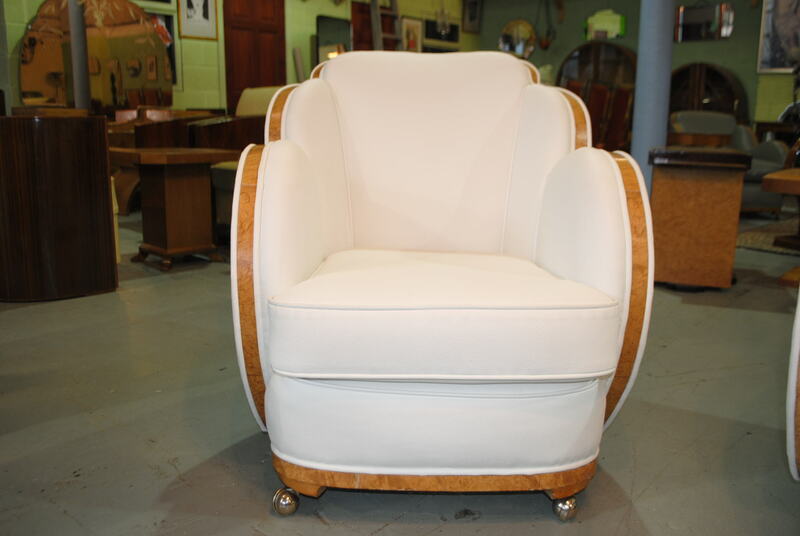 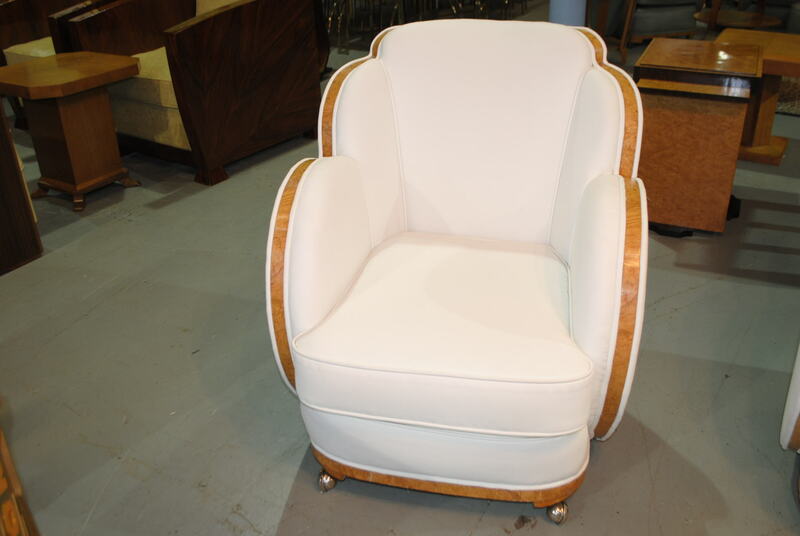 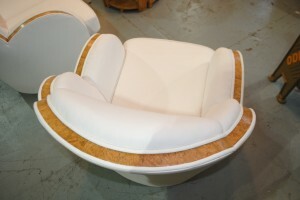 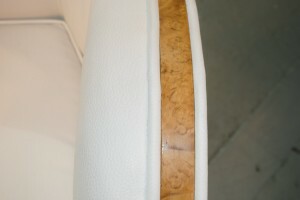 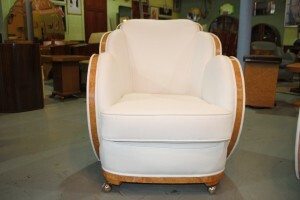 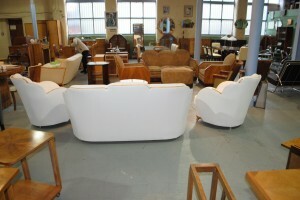 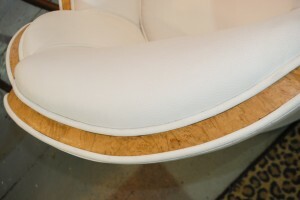 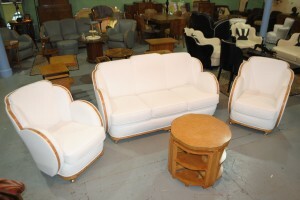 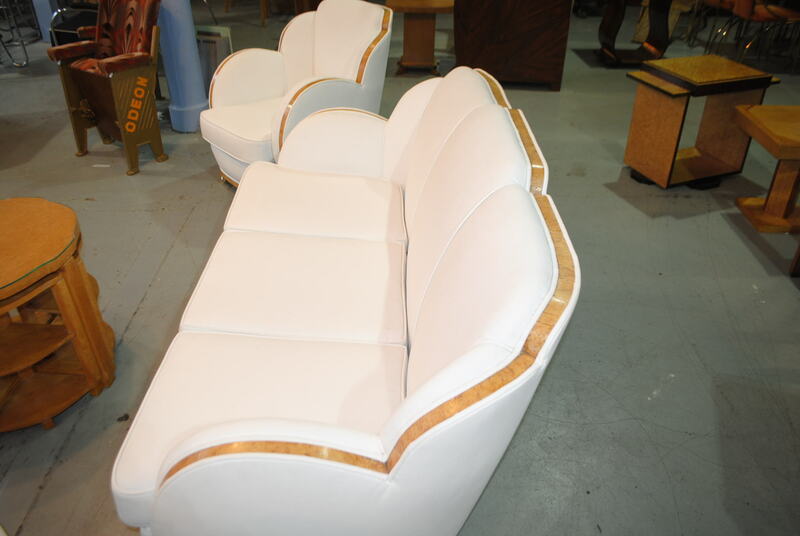 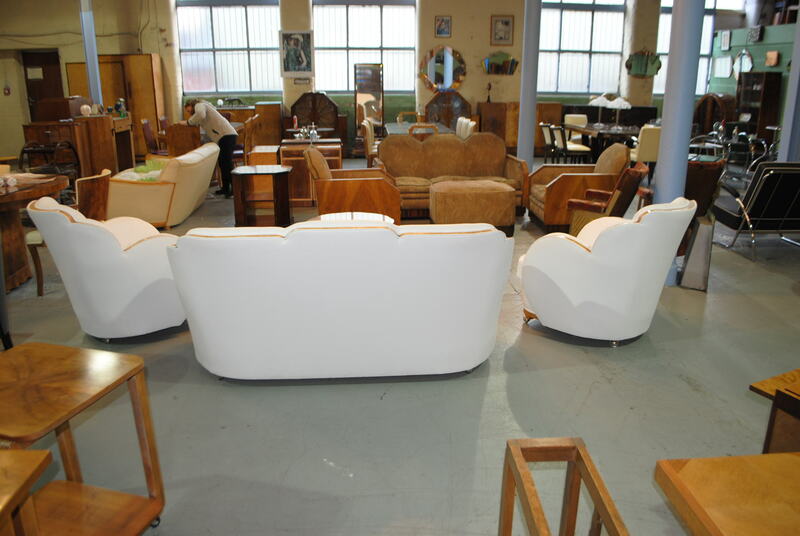 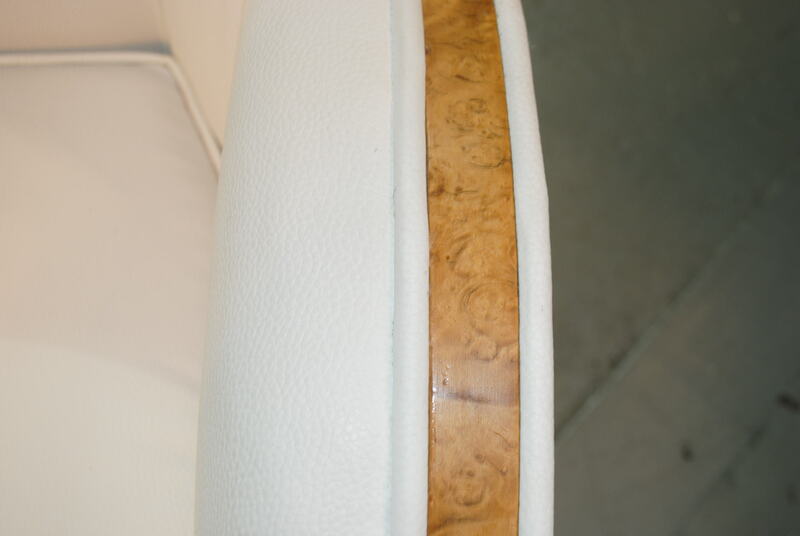 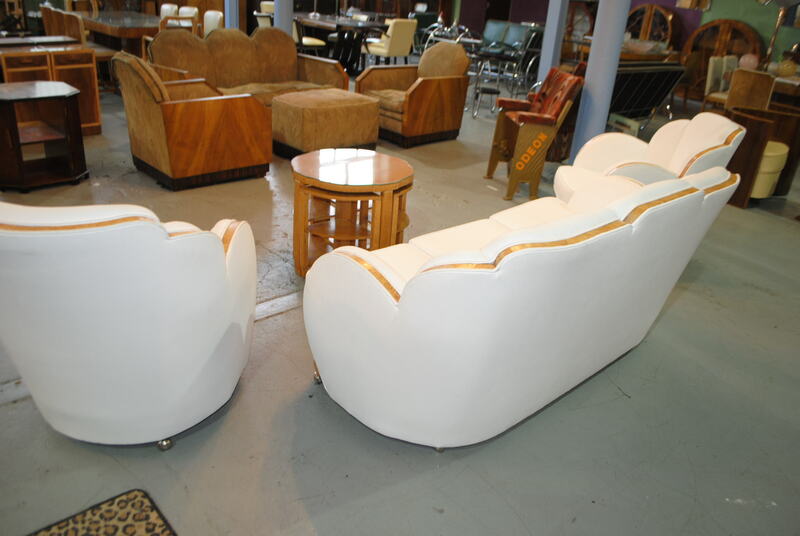 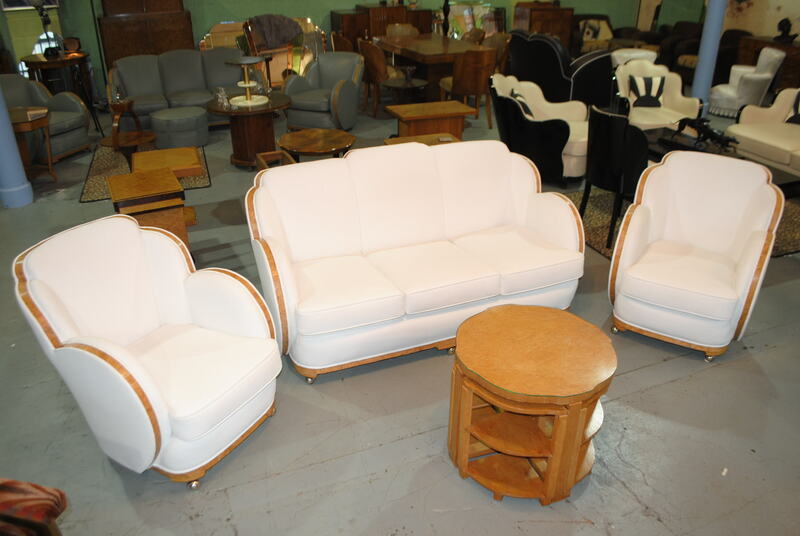 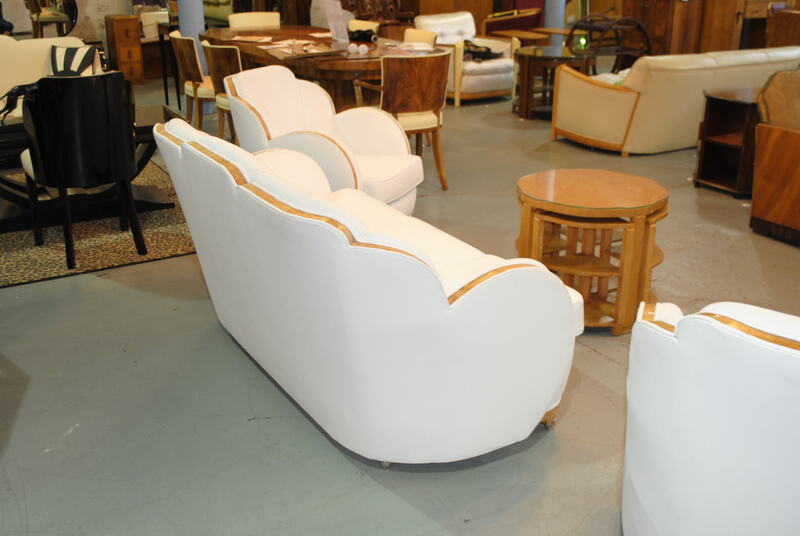 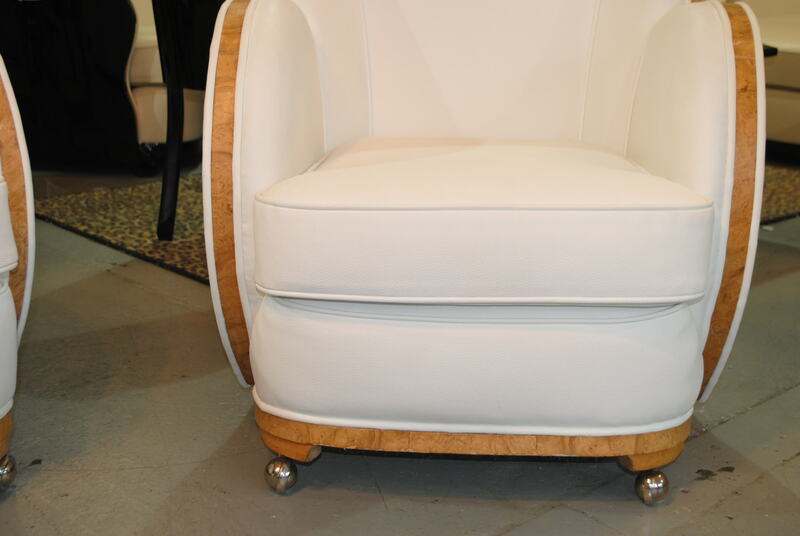 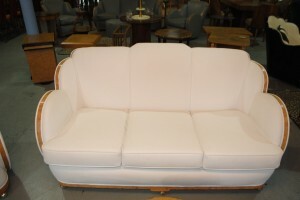 Upholstered using quality white leather it is in excellent condition. 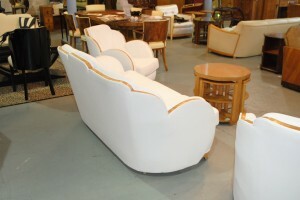 This is a very desirable suite ready for delivery, the photos cannot do this one justice!